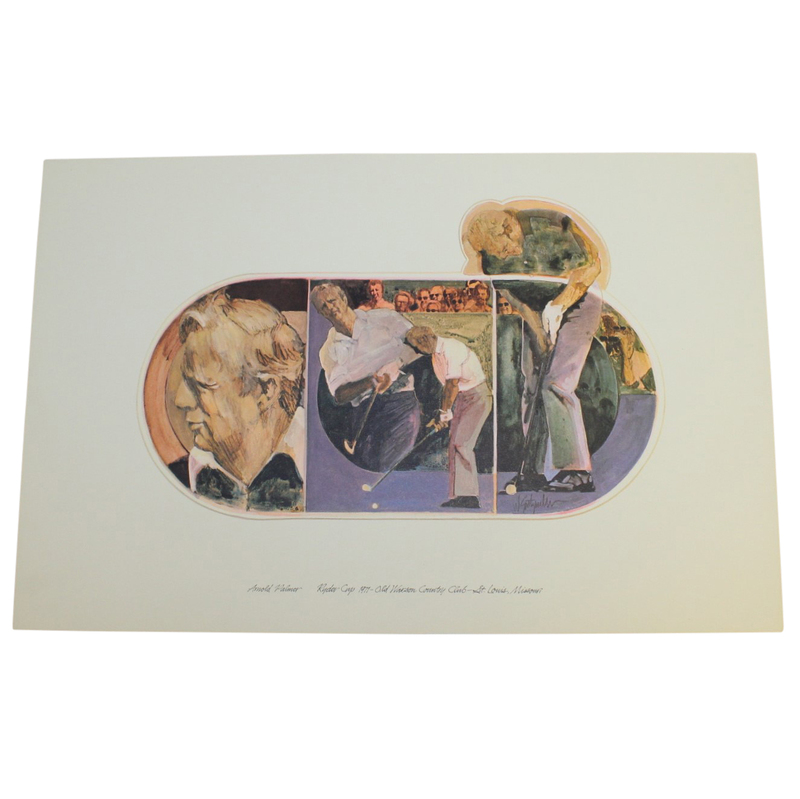 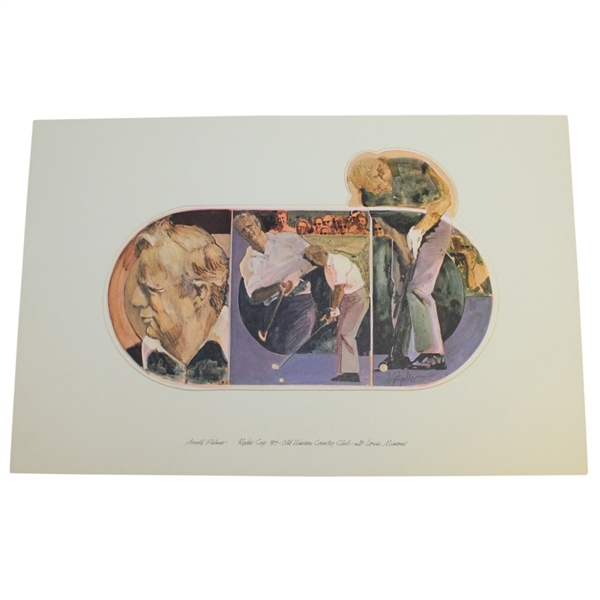 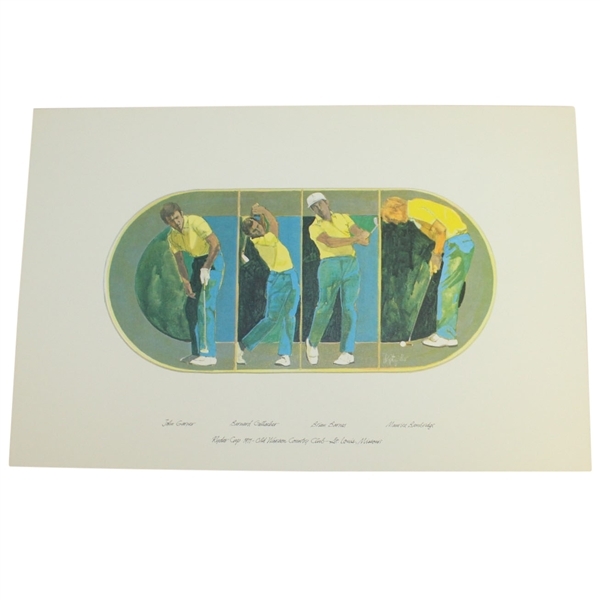 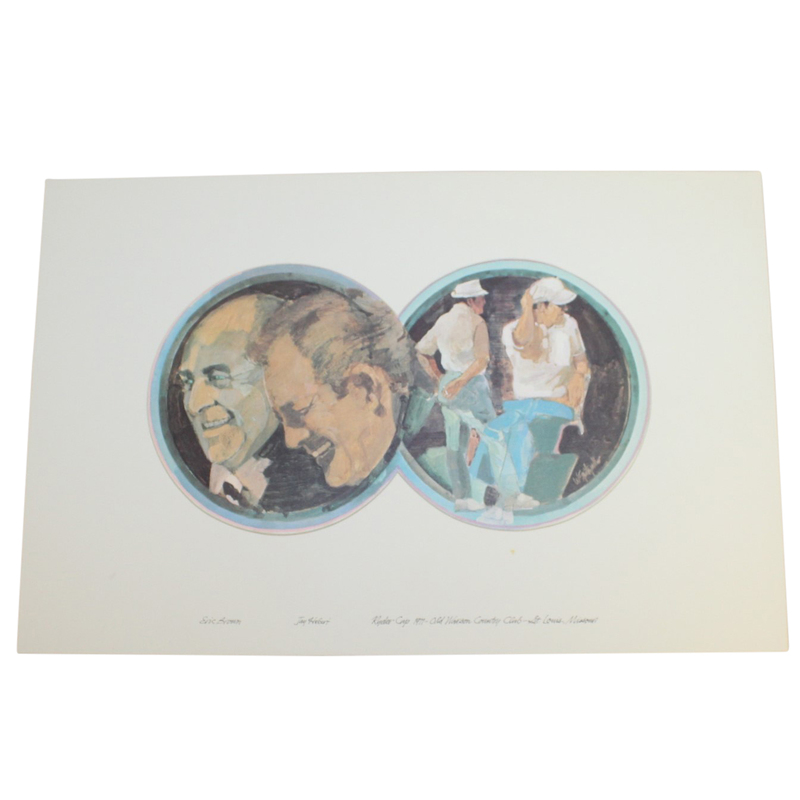 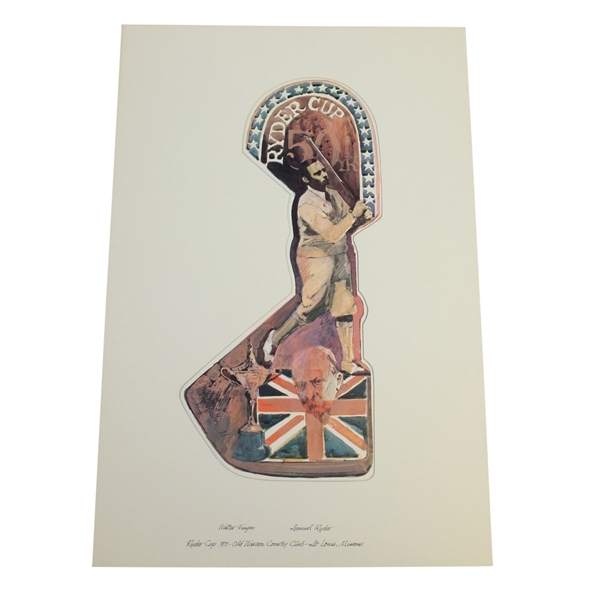 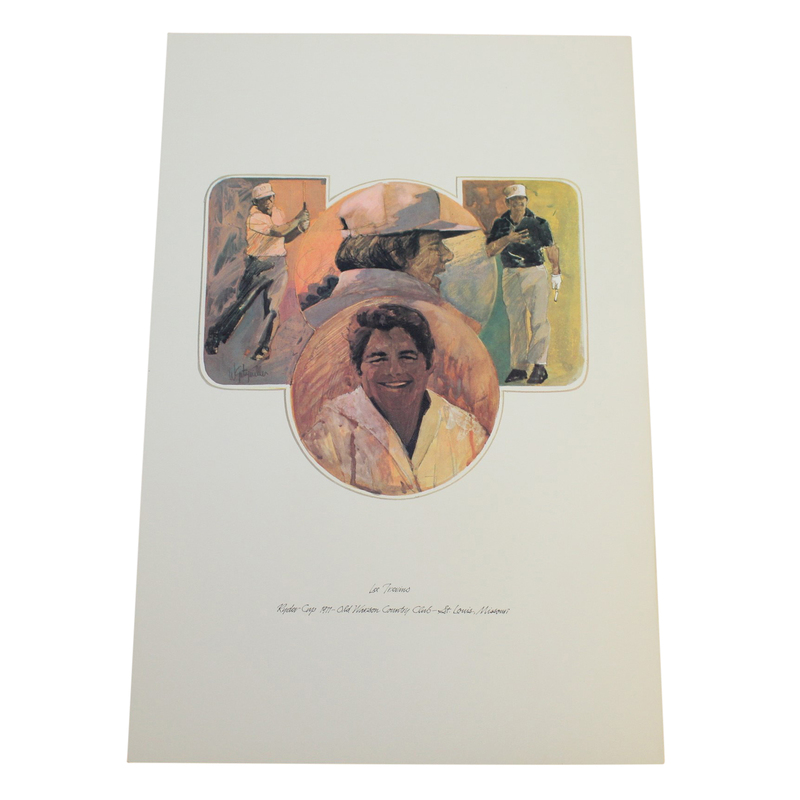 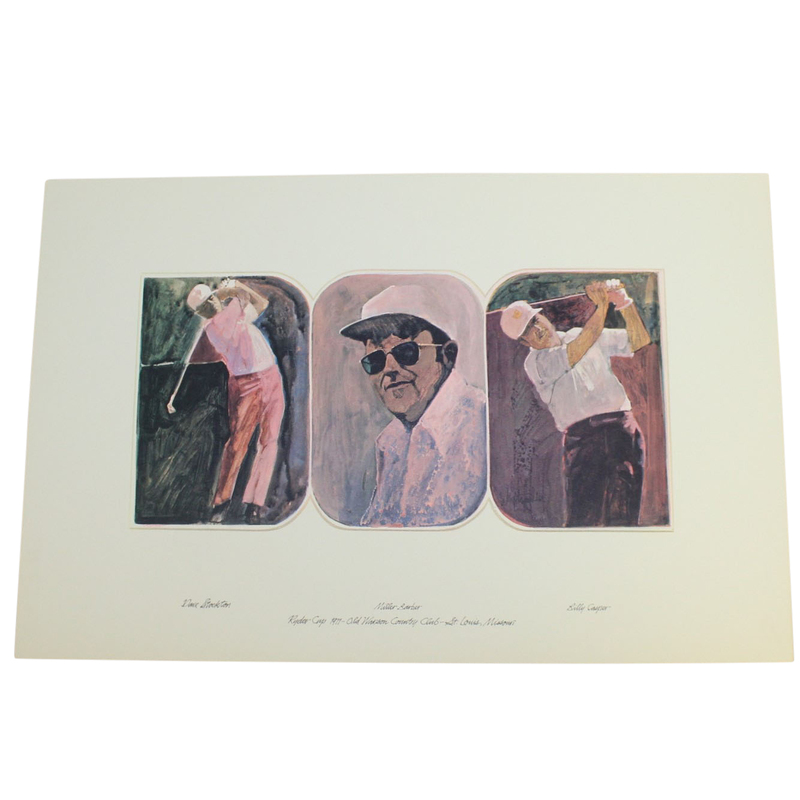 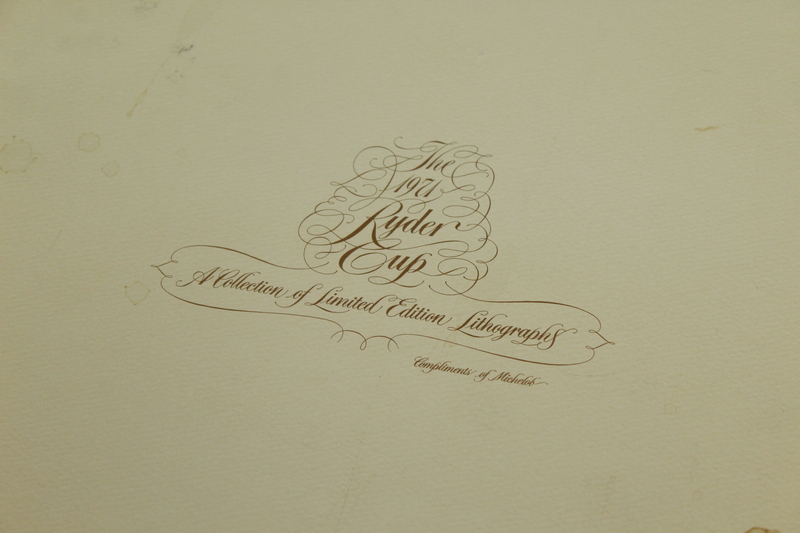 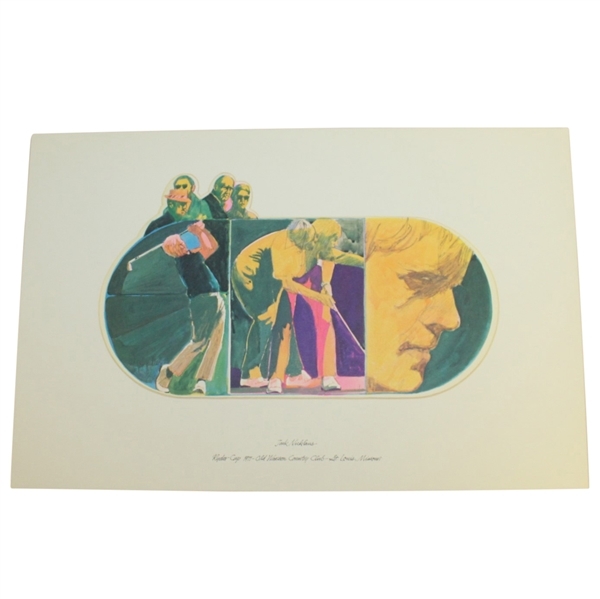 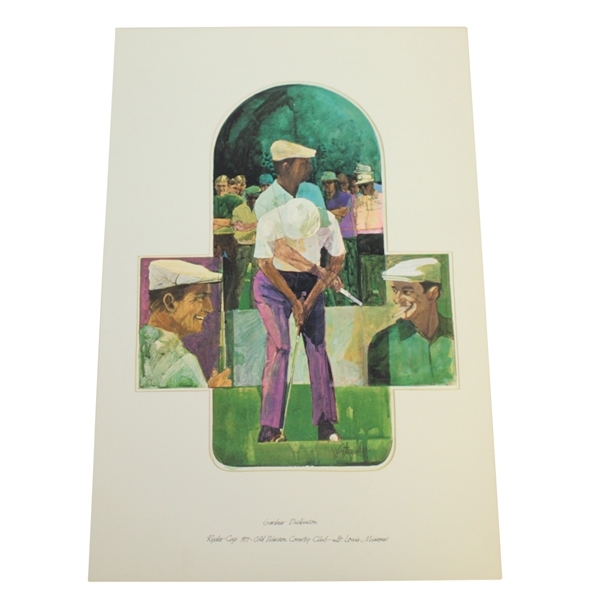 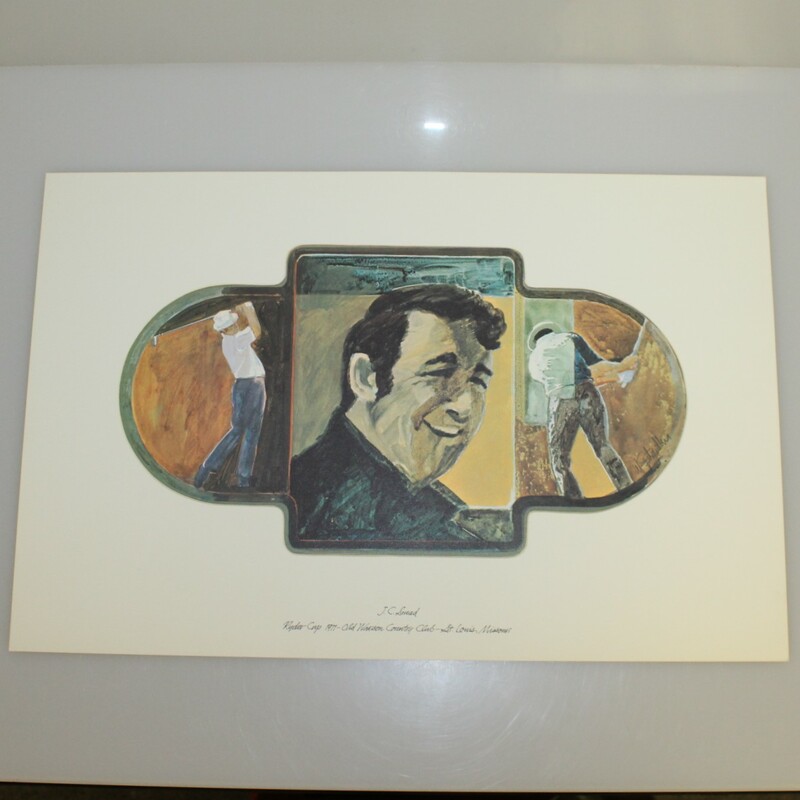 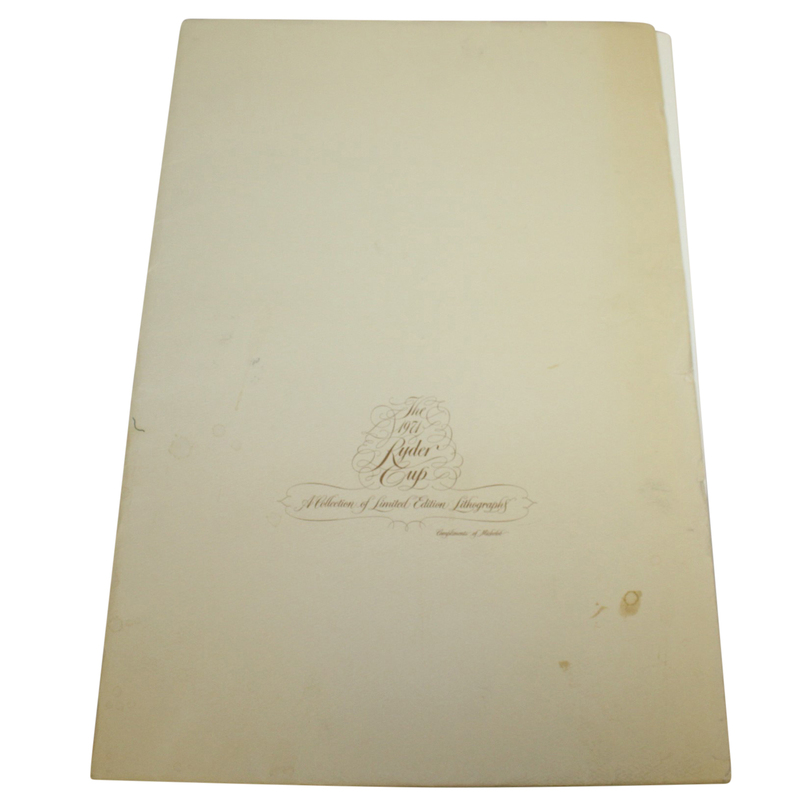 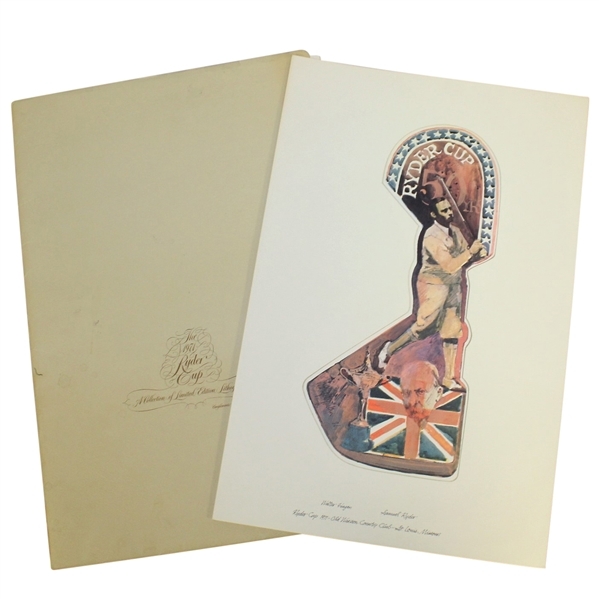 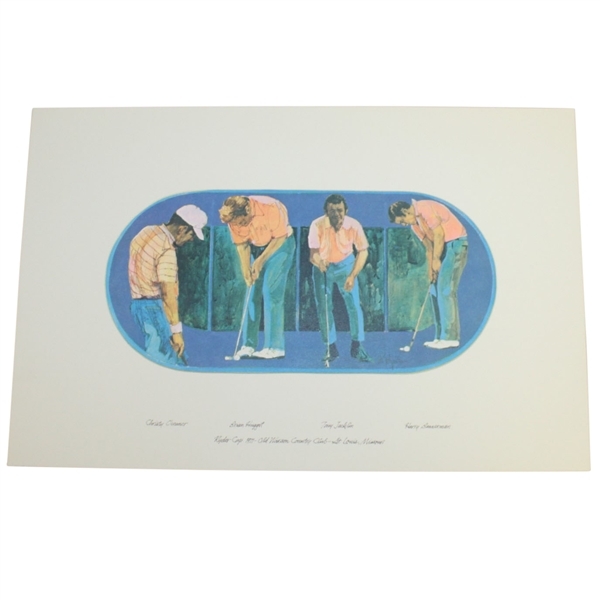 Here we have a complete set of lithographs commemorating the 1971 Ryder Cup Matches. Old Warson Country Club in St. Louis hosted the tournament. 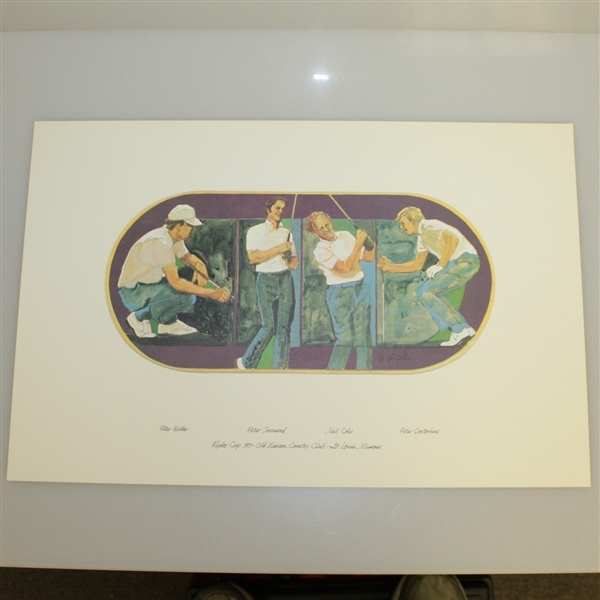 Exciting matches were the norm at the tournament which saw the USA win keyed by the four-ball win of the Arnold Palmer/Jack Nicklaus team, as well as Nicklaus' singles matches victories. 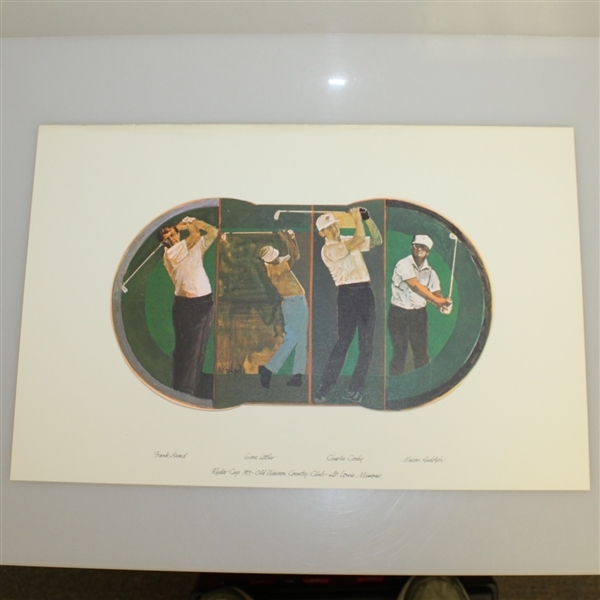 These come in great condition.